There’s no single component to a successful conference. To provide a truly winning event, several individual factors are required, and each one needs to be optimised to ensure the best possible response. From your decor to your catering, and from your speakers to your venue, every aspect of your conference lends something to the way its received overall by your guests. However, one aspect which should never be overlooked (and yet which so often is treated as little more than an afterthought) is your conference gifts or swag bags. Often, a great swag bag full of quality conference gifts is one of the most photographed and most shared aspects of your event when it comes to social media. What’s more, choosing the right conference gifts for attendees is the perfect way of showing your guests that you value their presence, and that you have a deeper understanding of what it is they’re looking for. Get your swag bags right, and you can be sure of greater participation, more positive feedback, and happier attendees all round. The trick to getting conference gift bags right is to tread the fine line between practicality and creativity. You want to show off the unique personality of your conference through your swag bags, and yet you don’t want your gifts to be in any way impractical, burdensome, or annoying for your guests. By applying some careful thought, some creative flair, and by following some key bits of advice, you can be sure of a winning formula every time that can genuinely make a profound difference to the way your conference is received. Here at Mask, we’ve seen pretty much equal quantities of amazing and awe-inspiring, and frankly depressing conference gifts across the years. We’ve decided to give you a quick rundown of what we feel needs to be kept in mind when selecting conference gifts for attendees, to ensure you get it right for your next big event. Read on to find out more! ​As mentioned, there are a whole load of factors to keep in mind when choosing the items for your conference gift bags. This comes down as much to the practicality and creativity of your gifts as it does to the whims of fashion and emerging trends. Check out what we feel you need to think about before you dive in, and hit the right notes every time with the following advice! Environmental issues are at the forefront of everyone’s minds at the moment, and this is no bad thing. Show your event’s commitment to green growth by cutting down on waste and packaging, and by using eco-friendly and recyclable materials whenever possible! Gift-wrapping presents for your attendees? Check out these green gift wrap alternatives that are sure to impress. Your conference attendees are sure to be switched-on people with their fingers on the pulse. You want to chime with their values and interests, so keep things fresh by injecting some pop culture references into your swag. Whether that involves postcards or pins with popular song lyrics relating to your theme, or creating an emoji specifically for your event to stick on your swag, there are loads of options out there for adding a touch of contemporary cool to your conference gifts. Bored of the same old plastic bags handed out at conferences? If you’re not, you’d better believe that your attendees are. One of the sure-fire ways to make your conference gift bags really elicit excitement is by providing a great alternative to the norm. Whether it’s a branded tote bag, a cool record bag or briefcase, or something totally different, thinking outside the box is never a bad idea when trying to excite and motivate your guests. 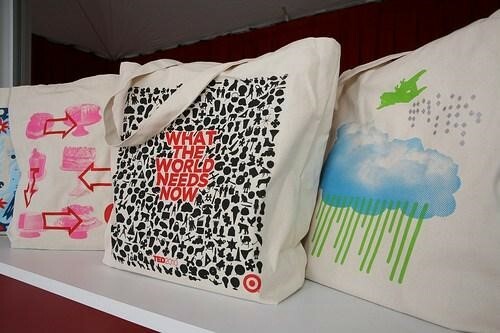 Just check out the cool bags handed out at the ever-inventive TED events worldwide for inspiration! ​While there is no end to the scope of what might potentially find its way into your gift bags, there are certain items which really do hit the spot, and prove to be winners time and time again. Choose some from this list, and your attendees are sure to leave feeling fantastic about your whole event! Let’s face it, who’d say no to a spare phone charger to keep in your briefcase or around the house? This is an example of a conference gift that really gets at the heart of what your attendees really want, and which can also benefit your conference while it’s happening. In fact, giving away branded phone chargers can boost engagement, as your guests won’t be worrying about their battery life for once! Your event isn’t happening in a vacuum, and your swag bags should make some effort to acknowledge the time of year in which they are being given out. If it’s the middle of summer, a free pair of sunglasses is sure to be appreciated (you could easily make them in company colours, too!). In the winter, why not give away a scarf, or a pair of mittens? Most businesses don’t even consider the seasons when it comes to their giveaways, so stand out from the crowd and make this a must-include item! Is there a must-read book relating to your industry? If so, including it in your conference gift bag is a brilliant idea, and shows that you’ve really thought about the content of your swag. Everyone loves a free t-shirt. However, if the clothing you’re giving away is emblazoned with a massive company logo, or a load of text which is highly specific to the event, it’s unlikely you’ll ever see somebody wearing it unless they have some painting and decorating to do. Keep it classy by reducing your company logo to a small crest, or printing your hashtag in a small, neat font somewhere on the item. As the world becomes increasingly digitised, it’s well worth including a digital gift in your conference bag. Something like an iTunes or Amazon voucher is always appreciated, as is a digital invite to an upcoming online event! Sure, you’ve put on an impressive spread when it comes to your catering option. However, if your guests’ tummies are rumbling between panels and speeches, they’re likely to be feeling irritable and less-than-happy about the event as a whole. Avoid mid-morning hunger pangs with a free cereal bar, or a voucher for a nearby food stall or cafe in your swag bags. Usually, conference gift bags give away a ream of low-quality lined paper… and it rarely gets used for anything. Delight your attendees by including a high quality Moleskine or other branded notebook in your bag - they’re professional, beautiful, durable, and sure to make a big impression. Putting a quality branded reusable water bottle in your conference bag is a great idea. It fits in with the green awareness points we made previously, and also allows your guests to stay comfortably hydrated throughout the event itself. What’s more, who can have too many water bottles at home? Lots of your event attendees are likely to have children, nieces, nephews etc, and including a fun stuffed toy branded with your event’s hashtag or logo is a nice way of showing that you’re thinking of their home lives, as much as you are thinking about their professional persona. 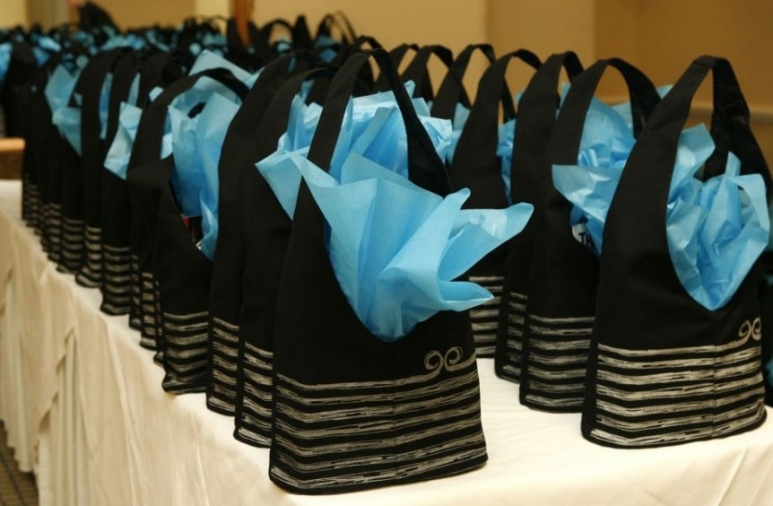 Remember: practicality, originality, and creativity are the keys to swag bag success. 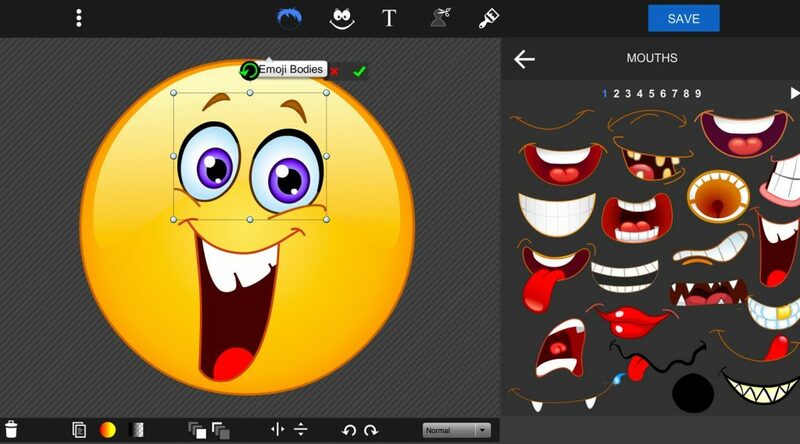 Want to keep your attendees smiling and having a great time? Be sure to avoid these disappointing and useless conference gift mistakes! This should really go without saying. Nobody wants to pack them into bags, nobody wants to cart them around the venue all day, and nobody wants to carry them home afterwards. Small, light, slick, and practical should be your buzzwords when selecting your swag! I think the only time you ever see flash drives nowadays is in conference gift bags - although why anyone thinks their attendees would need these obsolete items is beyond our understanding. Avoid anything cheap, tacky, or low quality. Your swag bag is a reflection of your event as a whole, and generic items like branded biro pens, stress balls, or coloured post-it notes are all best avoided. Connected to the previous point, but well worth reiterating. Would you ever wear a cheap baseball cap with your company name and logo printed on it in garish letters? We thought not. If you wouldn’t want it, it’s likely your attendees won’t either. No foam fingers, no yo-yos, and certainly no flashing keyrings, thank you very much. 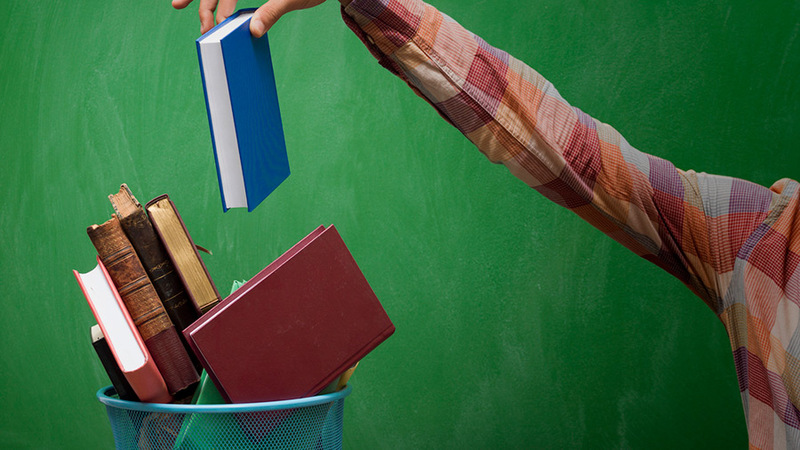 Giving away a bad book is far, far worse than giving away no book at all. Even if it has been written by one of your guest speakers, be sure to check out the reviews before even thinking of including it in your conference gift bag for your attendees. You don’t want to embarrass yourself by essentially endorsing poor writing or advice which goes against your best judgement. Nobody wants to carry a company brochure home with them unless they’re genuinely interested to see what it contains. And you know what? If they really are interested, they’ll pick up one for themselves from the foyer. ​There you have it - our top tips for getting your swag bags and conference gifts right every single time. We hope you’ve enjoyed this article, and have found the above lists to be useful and informative. We sincerely believe that nailing the swag bag is one of the key components of any successful conference, and is sure to be something that’ll get your guests talking. If you’re looking for advice or assistance with anything connecting to conferences or any other types of events, Mask is an industry leader that is just waiting to hear from you. Get in touch today, and see what we can do for your next event!